The Paris attacks are the fourth set of successful mass Islamic terrorist attacks in France of this year, the first one being the Charlie Hebdo shooting in January 2015. This can be attributed to the fact that France has one of the highest numbers of Muslims in Western Europe. However, neighboring countries like Germany have a similar number of Muslims as France, and despite the rapidly growing Muslim population in the United States and Canada, Islamic State Iraq and Syria (ISIS) recruitments are far less common and Islamic extremist attacks are infrequent, so what makes France stand out as such a vulnerable target? 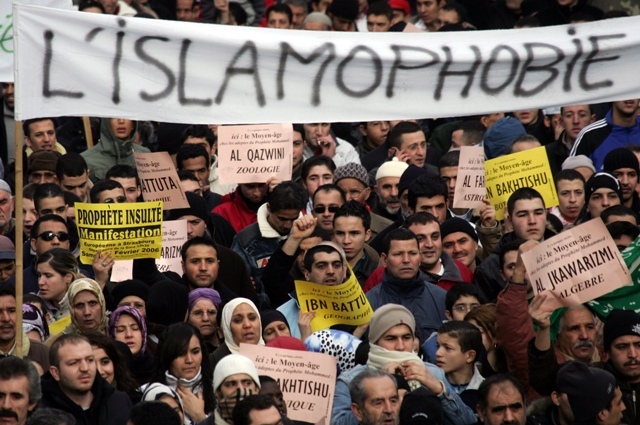 It is quite simple; Islamophobia, foreign policy, and government policies that limit religious expression in public contribute to France’s problem of rampant Islamic extremism. France, along with the United States and Australia, has been bombing Syria and Iraq since 2014. Opération Chammal, France’s military efforts to contain ISIS, has killed over 1000 ISIS troops but angered the survivors. As ISIS claimed responsibility for the Paris attacks, France’s president, Francois Hollande said that France will respond with an increased frequency of bombings in Syria and Iraq. The French government does not seem to understand the concept of blowback, which is the subsequent consequence of military operations suffered by the aggressing country. “The horrific attacks in Paris on Friday have, predictably, led to much over-reaction and demands that we do more of the exact things that radicalize people and make them want to attack us,” Ron Paul, a notable anti-aggression advocate and former United States congressman, said in his blog column. The Paris attacks are quite reminiscent of the 9/11 attacks in the United States. Prior to the 9/11 attacks, the United States had been quite active in the Middle East, with Operation Desert Fox and Operation Desert Storm in the 1990s. As a result, Al Qaeda responded with attacking the Pentagon and the World Trade Center, which is exactly like how the French airstrikes over Iraq and Syria have caused numerous attacks in Paris. In terms of dealing with foreign affairs, France can learn from the poor decisions that the United States government made, but France also needs to address the domestic issues its Muslims are suffering from. Although France’s aggressive foreign policy is a plausible cause to their issue with its problem of rampant Islamic extremism, the United States has a similar foreign policy, but Islamic extremism is far less rampant as opposed to France. According to Pew Global Research, American Muslims express a stronger concern for the rise of extremism and identify more with their nationality than Islam when compared to their French counterparts. According to Radio Free Europe, the rate of ISIS recruitments in the United States is miniscule compared to France, which has the fourth highest ISIS fighters per capita outside of the Muslim world. Unfortunately for France, their government policies to encourage French Muslims to integrate has been counterproductive and encourages isolation instead. Unfortunately for the Muslims, the French education system’s repressive policies against religious expression exemplify the cultural hostility toward the Muslim population. Policies such as banning the headscarf, along with other “conspicuous religious symbols” in public schools has caused some Muslim girls to choose between compromising their religious beliefs by going to school or dropping out to practice their religion as they see fit. Maroi — who is only identified by her first name — is a student who had to remove her headscarf whenever she went to school in France. She went to apply to a school which offered a program that interested her, but not only did the principal object to her headscarf, but also her long black dress. Unfortunately for French Muslims who wear headscarves, according to a survey done by a French newspaper Le Parisien, the law is supported by 69 percent of those surveyed. In contrast to their support, a survey of 276 students in San Gabriel High School had 252 students opposing such a ban, which is 91 percent of those surveyed. France also has an issue with anti-Muslim sentiment. In a survey conducted by Radio France International, 55 percent of those surveyed said that Islam should not be encouraged in France. Unfortunately, the anti-Islam attitudes are not devoid in the labor force. A study done by Stanford political scientist, David Laitin, yielded a disturbing outcome: Muslims whom are prospective entrants in the labor force are two and a half times less likely to be considered for a job interview than their Christian counterparts, despite having the same ethnic background. This displays an income disparity between Muslims and Christians, with Muslims making an average of 400 euros (423 U.S dollars) less a month than Christians. With difficulty finding work, the unfortunate ones are pushed to live in banlieues. The term translates to “suburb,” but the term has become associated with poor and crime-ridden neighborhoods in France. Banlieues are parts of France that are in total contrast to the picturesque, publicized tourist attractions like the Champs-Élysées and the Louvre, a part of France hidden from the media. These banlieues are rampant with decrepit and dilapidated housing projects, along with unconditioned public property, ignored by the French government and the media along with its residents. In a study “Suburbs of the Republic” done by French political scientist Gilles Kepel, Seine-Saint-Denis, a banlieue, youth unemployment hovers above 40 percent. In a struggle to make ends meet, some residents turn to illicit methods of making money such as drug trafficking. Muslim residents of these banlieues are cut off from society because they often feel rejected from school and the workforce, inhibiting the youth from integrating in French society and causing them to identify more with their religion rather than the country they were born in. French Prime Minister Manuel Valls went as far as calling the concept of these banlieues “social and ethnic apartheid.” The Muslims’ feeling of rejection by the French government spawns deep resentment among the banlieues’ residents. As a result, banlieues have become hotbeds for ISIS recruits as ISIS tries to recruit vulnerable youth residents. ISIS often promises young recruits money, houses, and jobs– things that are hard for them to come by in France. There are many solutions to solve France’s issues. France’s foreign policy in regards to the Middle East should be the first and easiest thing to reform. A more peaceful foreign policy by ending airstrikes and utilizing diplomacy would help resolve France’s image as a vulnerable target for terrorists. However, tackling the foreign policy is only one piece of the puzzle. France needs to reassess its domestic policies toward religious expression and social environment of Muslims.